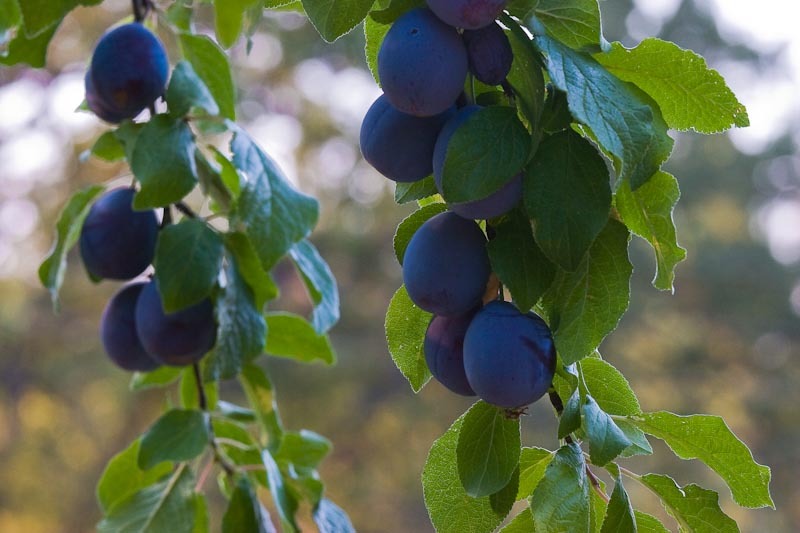 The aged French plum trees always produce the first fruit bounty of the season. What beautiful deep rich color. I can taste their sweetness. so beautiful - i like that you've shown 2 branches of the plums. this makes me want to reach out and touch them.